Even though we are into our fourth week of Spring, Winter is certainly holding on here in Mount Washington Valley where we received 4 inches of snow just yesterday! While I haven’t hung up the skis or ice tools yet (planning an alpine ski tour for this Thursday) I figured I better get my season recap out there because before we know it Spring will actually arrive and I’ve got a busy line-up of early season rock climbing objectives and gear reviews to work on! This winter started off in epic fashion with over 50 inches of snow recorded on the summit of Mount Washington in October! This set us up for some great early ice season conditions and I kicked my season off on November 15th with the first of the season ascent of Standard Route at Frankenstein Cliffs. After one more trip up Standard and a bit of a thrutch up an early season Dracula I found myself climbing the Black Dike three times in a month! All three times were memorable with the highlight being the third trip where I beat my own personal time on the route (90 minutes) and had the amazing opportunity of my friend Dave Dillon of Chase The Summit shooting the climb with his drone. I’ll cherish this footage forever Dave! Thank you! November saw over 60 inches of snow on Mount Washington and in-hindsight I found myself wishing we had scheduled some early season avalanche courses, we definitely had the conditions to run a couple! Our first avalanche course started on December 14th and our last one ended on March 31st. All in all Northeast Mountaineering had a record breaking 179 students take an AIARE course with me this winter! Taking my first avalanche course was such a pivotal moment in my life back in 2003 and I am so grateful to have the opportunity to help these participants get on a path of learning how to manage risk in our amazing snowy environments! I’m also grateful to have been able to work alongside Grant Price who was a fantastic co-facilitator and who I learned quite a bit from over the season. To all of my students this past winter, thank you! There were two stand-out moments for me during the avalanche course season. The first was a complete failure in my own group management strategies that resulted in getting a student into a very uncomfortable and risky situation. I’d been teaching people how to look out for Human Factors and Heuristic Traps for over a decade and found myself anything but immune to their ability to cloud our judgement and steer us to make poor decisions. I shared some of this humbling tale in this post if you are interested in more details. The second stand-out was triggering and getting carried in D2 size slab avalanche while guiding a back-country ski trip into Tuckerman Ravine. Despite fearing a bit of Monday morning quarterbacking I shared that experience in this post. Through-out the winter I got to review some really awesome gear including the new Petzl Nomics, the Arc’teryx FL-365 harness, and the BightGear Caldera Parka. I have a few more reviews almost finished that will post soon. The review section of the blog has definitely grown over the last two years! I’ve got quite a few giveaways planned for this summer and every footwear review will have a chance to wind some of that amazing Friendly Foot! Let me know in the comments if there is something you would like me to review and I’ll try to get my hands on it! My only regret is I didn’t get to explore more of the Granite Backcountry Alliances glade projects! I got two runs in at the locals favorite Maple Villa Glade and one super fun trip off the Baldface Knob… the stuff GBA is doing is nothing short of incredible for the New England BC ski community… if you haven’t checked them out and considered contributing or volunteering please do so! Even though mid-April is approaching I still have an ice climbing course booked for this upcoming weekend, and a back-country ski course on April 16th. Based on the current Higher Summits Forecast and the amount of snow we have on the ground it’s shaping up to be an EPIC alpine ski season (knock on wood). It will likely be pretty late when the Mount Washington Auto Road is able to open but as soon as it does I will be getting my annual season pass again… if we are lucky we will have a couple weeks of being able to access alpine skiing via the road through May! All that said here’s a couple courses I teach you might consider to add some skills to your kit before the summer rock climbing season goes full swing! Backcountry Skiing or Ski Mountaineering: Whether objective based (Gulf of Slides, Great Gulf, Monroe Brook) or skills based (crampon & axe use, route planning, protecting/rappeling with a rope) or a mix of both there is still a lot of snow up there and it is great to get on it while we can still ski all the way back to the car! Reach out to me if you’d like to plan something! Wilderness Navigation– This 8 hour course covers a lot more than just map & compass skills. I start with Improvised “Survival” Navigation, then work up to advanced compass & map skills, and introduce modern web-based tools, and still leave time for a 3-4 hour field session! Check with me on availability before booking at the above link! Self-Rescue for Recreational Rock Climbers– Can you escape a belay? Ascend a loaded rope to aid an injured lead climber? Create a counter-balance rappel and bring that injured lead climber back to the ground? That’s what we will learn in a one-day self-rescue course. We can run this course rain or shine, and if you want to follow more than single pitch routes you should acquire these skills! Contact me first to check on my availability then we can get you booked through Northeast Mountaineering at this link. Other plans include growing my Tech Tips page… what do you want to see? Leave a comment below and if it’s a skill I can demonstrate I will! I’m also working on a webinar to share CalTopo/Avenza (smartphone trip-planning and navigational tools). I will likely offer this as a 2-3 hour course a couple nights in May/June. If that’s something you’d be into make sure you are subscribed! Special shout out to Northeast Mountaineering for juggling all the crazy logistics of running a small but super busy guide service and avalanche course provider. Considering the amount of business that came through that little ole’ Bunkhouse in Jackson, NH things went incredibly smooth with only the most minor of hiccups along the way. Huge thanks as well to Ortovox for having me on their athlete team for another year, I am so honored to represent a small part of this amazing company! And stoked for another year with DPS Skis! I put so many miles on my DPS Tour 1 Wailer 99’s, and this was my first season with the Phantom Glide treatment… I will write a full post about that experience and have some video to share as well! Stay tuned for that. Finally thank you to Revo for supporting me with the best sunglasses and snow goggles I have ever worn. I didn’t know how quality lenses performed until I partnered with this company and I’m stoked to represent them all over the mountain! Well I guess that’s pretty much it. It ain’t over yet but man it has been an AMAZING winter! Go enjoy a little bit more of winter… bug season will be here soon enough! Affiliate links help support this blog. Thank you! Locking carabiners are an integral part of the climbers kit. In this post we are going to take a close look at the notable differences in styles, shapes, and mechanisms along with making suggestions as to where in the climbing system certain models are best suited for both convenience and greater security. I also think a pair of the Petzl Attaches is the best choice for a top-rope master point and I carry two dedicated to this use. The reason these excel at this use is Petzl designed some grooves in the sleeve that interlock with the forged ribs of a reverse and opposed Petzl Attache. When used in this configuration the slightest of load basically eliminates the ability for these carabiners to unlock by vibration or even intentional hands. If you’ve ever arrived at a top-rope anchor to discover a locking carabiner has become unlocked during your session you’ll appreciate this added security feature in addition to the more well known “unlocked” red indicator, a nice visual clue that the carabiner is not locked. Another screw gate carabiner I carry is the Petzl OK Locking Carabiner. This carabiner is in a symmetrical oval shape which makes it ideal for use in both aid climbing and big wall climbing with the Petzl Ascension Handled Ascender. For improvised rescue (both multi-pitch trad and glacier travel) it pairs perfectly with the Petzl Tibloc. For use in a self-belay top-rope system (or a more robust rescue system) it pairs perfectly with the Petzl Micro Traxion Pulley pictured above. The Petzl William Locking Carabiner easily organizes 6 quick-draws, 4 alpine draws, and my two “mini-quads“. I do carry one larger Petzl William Locking Carabiner shown above which has a few advantages over the smaller locking carabiners I have already mentioned. If I need to lower someone with a Munter-Hitch the wider “rope end” shape of the carabiner offers smoother lowering even when using thicker ropes. There are also some situations where a large locking carabiner can make a convenient easy-to-use “master-point” at the anchor when climbing in parties of 3 or more. I also find this carabiner to be a convenient way of keeping my quick-draws and alpine draws organized before or after the climb. One final thought on screwgate carabiners… it has been noted that these mechanisms can be less prone to “gunking up” in dirty environments. For ice climbing I have not found them to be less prone to getting iced up then any other style of carabiner. See the maintenance section near the end of this post for tips on prevention. While there are not many documented cases of this style failing there are a few incidents where this style might have contributed to a climber becoming disconnected from their rope system. Details are sparse enough that it could be fairly considered rumor. Regardless these carabiners are best used within the climbing system where there will not be moving rope going through them and their position can be monitored to ensure no unintended “unlocks”. Rappelling with a tube style (Black Diamond ATC/Petzl Verso) device. It is conceivable that the carabiner could rotate into a position where either the climbing rope or the belay loop of the harness could press against the spring loaded sleeve in a manner that could cause it to open like demonstrated in the video above. Anchoring in on multi-pitch climbs, especially if in a larger climbing party. For starters it is a little less smooth tying a clove-hitch on to the carabiner when the carabiner looks itself when ever the gate closes. Also any moving rope, cordage, or slings above your anchor carabiner run a risk, however small, of passing over the gate in a potential fashion to open the gate. Rappelling with a figure-8 style device. While not very common in rock climbing circles these devices are still preferred for caving, spelunking, canyoneering, and rescue. The difference between this and a plate style device is the moving rope does not pass through the carabiner greatly reducing the chance of it coming into any contact with the gate. Care should still be used when loading the system that the belay loop is not twisted and the carabiner is in position to be loaded properly along its main axis. Belaying with a brake assisting device like the Petzl GriGri2 or GriGri+. Since the climbing rope does not go through the carabiner with these devices the risk of unintended opening is almost nil. Care should still be used when loading the system that the belay loop is not twisted and the carabiner is in position to be loaded properly along its main axis. Added security at static points in a climbing system. For example to secure one leg of a multi-leg static top-rope anchor. Once the system is set up and loaded there is virtually no risk of anything coming in contact with the sleeve. Essentially Twist Lock carabiners are best used in places where they will not be exposed to much moving material. This style of carabiner is an excellent choice for dedicated belay/rappel carabiners, plate style belay devices, and brake assisting devices like the Petzl GriGri2 and GriGri+ (review here). While a small category in the industry this is my most favored style of auto-locking carabiner. Namely the Black Diamond RockLock Magnetron Carabiner. This innovative style uses a magnetic system to lock the carabiner the moment the gate shuts. To unlock the carabiner one must pinch both sides of the gate. This motion is quickly mastered with either hand making this a very easy style to operate (yet next to impossible to create a scenario where the rope or a belay loop could mimic this pinch). After three winters of use I’ve had no issues with the mechanism getting iced up. Essentially I find these to be the fastest and most secure option in two places in my climbing system. First I use one for my main belay/rappel carabiner. Zero chance of forgetting to lock this important attachment and while it seems trivial the few seconds saved at every transition can add up. Second I use two on my plaquette style belay device. Pictured here is my KONG GiGi but the popular Petzl Reverso 4 and Black Diamond ATC Guide would be a common substitute. Since some may ask about the GiGi I’ll add here that I typically am guiding with two clients so often I belay two ropes simultaneously. This can trash a guide’s elbows and shoulders over decades of yarding up rope and the Kong GiGi helps by having less resistance when pulling slack. I do also carry a Petzl Reverso 4 for rappels and as a “back-up” should anyone drop their belay device on a multi-pitch climb. Depending on the environment you climb in you may need to do some light maintenance to keep your locking carabiners functioning properly. In the Northeast I don’t find my locking carabiners needing much attention and probably give them a tune up every 3-5 years if they haven’t incurred enough wear to be retired. Climbing in soft dusty deserts might require a more regular maintenance cycle. Luckily it isn’t that hard. If a gate or sleeve is sticking or feels “gritty” wash the carabiner in a warm soapy wash. An old toothbrush can help if they are really gunked up. Rinse well. Apply a quality lube like Metolius Cam Lube. I’ve also had great results with Teflon based bike lubricants. DO NOT use WD-40 as this spray really attracts dust and dirt and you’ll find yourself back in the kitchen sink pretty quickly. If we will be top-roping I add two Petzl Attaches per top-rope system I’m setting up. So that’s only 5 locking carabiners with specific jobs for multi-pitch climbing and another 2 for top-roping. As always if you find yourself short a locking carabiner somewhere you feel you need one you can use two non-locking carabiners with gates reversed and opposed. Hopefully this post has been informative and will help you optimize the amount and style of locking carabiners you spend your money on. There are so many options out there these days and it is helpful to recognize where one style may more more convenient, or even more secure, than another style. Drop a comment below on anything related to this post and your name will be entered into a drawing for a brand new Petzl Am’D BallLock Carabiner! Drawing will be held on October 31st at 12 PM EST and winner announce here and contacted via email. Links above are affiliate links. 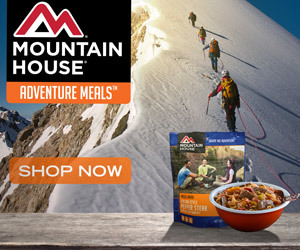 By making a purchase you support the content created at Northeast Alpine Start at no additional cost to you! Thank you! Do you need to back-up your tie-in knot? The short answer is no. I recall reading an article in a popular climbing magazine about a decade ago where an IMFGA guide was encouraging climbers to stop “backing up” their tie-in knot. While the logic in the article was quite sound tying “back-up” knots above your standard Figure Eight Follow Through is still somewhat popular even ten years later. We crave redundancy. Change is hard. “Safety” is elusive. “Experts” are everywhere. While researching this topic and polling various climbing forums opinions were all over the place. There was a mix of old school “this is how I learned 25 years ago” and new age “our climbing gym requires us to or we fail our belay test”. Why not tie a back-up knot? Why not tie 3 back-up knots just in case the original and first two back-ups fail? To answer these questions with some amount of detail we need to break it down piece by piece, and that’s what we will do, but first let’s set the baseline. By “tie-in” knot I am referring to the popular Figure Eight Follow Through. This is what the majority of climbers learn is the best knot for attaching the rope to the harness. Some climbers praise how the Double Bowline is somewhat easier to untie than a Figure 8 Follow Through. This is true, but the Double Bowline comes with enough caveats that I think it should not be used as your primary tie-in. Simply put a properly tied Figure Eight Follow Through is more than strong enough. How strong is it? In pull tests it breaks at about 75-80% of the ropes full strength. Do you know how much force it takes to break a climbing rope? Enough to not worry about a 15-20% reduction that is for sure! It is slightly stronger than the aforementioned Double Bowline. By “secure” we refer to the ability for the knot to loosen and untie itself through normal use. By design, once tightened, the Figure 8 Follow Through does not loosen. In fact it can be so tough to loosen it that some climbers who work steep overhanging sport projects and take multiple whippers while projecting might choose the easier to loosen Double Bowline in its place. Unless you are taking multiple whippers on overhanging climbs I’d encourage you to stick with the more well known and recognized Figure 8 Follow Through. Note the Double Bowline does require a back-up for security! That means six inches of tail after the knot is dressed and stressed. To dress the knot try to keep the strands on the same side while tightening the knot. Sometimes I’ll end up with a strand crossing over a strand leaving me with a knot that isn’t “pretty”. This twist does not significantly weaken or reduce its security in anyway. The sometimes heard phrase “a pretty knot is a safe knot” alludes to a pretty knot being easier for a partner to quickly inspect. You do not need to re-tie your knot if you only have a twist in it (but make sure the proper strands run parallel). Climbing systems are complex enough. We do not need to add complexity for the illusion of being “safer”. Our focus when tying in should always be on tying the correct knot properly, not tying extra knots “in case we mess up the important knot”. That should never happen. Especially if you take your partner check seriously and have a second set of eyes look at your knot before you leave the ground. Extraneous knots above the tie-in knot make it more difficult for a partner to visually inspect the important knot during the partner check. Not tying “back-up” knots saves time, even if just a little. While following a climb “back-up knots” can catch and jam on protection or quick-draws before you are in a good stance to un-clip them. While lead climbing having a cleaner profile at your tie-in can lead to smoother clips. The ideal Figure 8 Follow Through Knot should have a “loop” about the size of your belay loop and 6 inches of tail. No more, no less. If you would like to “secure” your left over tail to keep it from “flapping around” consider the Yosemite Finish. While this is an excellent way to finish your knot it is often tied incorrectly, with climbers partially “un-finishing” their properly tied Figure 8 Follow Through when tucking the tail back into the knot. To maintain full strength and security the tail must wrap around the rope before being tucked back into the lower part of the knot. This maintains original knot strength and security and creates a really low profile knot to facilitate clipping, cleaning, and even rope management at crowded belays. Here’s a short video I created to show the process. The majority of climbers these days learn the basics at climbing gyms and the majority of these gyms likely encourage or require this un-necessary redundancy. I offer that we should focus more on better partner checks and proper belaying techniques rather than wasting time backing up things that don’t need to be backed up. What do you think? Please share your thoughts in the comments below and share within your climbing circles if any of this was helpful! From my point of view the only “UIAA approval” that could conceivably be construed from our materials currently online and in publication would be from materials in the UIAA Alpine Handbook, which has at least been circulated among enough commission members to be regarded as “UIAA approved” – which is NOT the same as “UIAA recommended”, after all there are “many ways to skin a cat”, and it would be an endless task to try to list them all! Pages 143 and 189 of the UIAA Alpine Handbook show the use of the rethreaded Figure of 8, which is indeed shown without a stopper knot. However this does not mean that adding a stopper knot is therefore “not UIAA approved”. Adding a stopper knot adds a level of redundancy – and redundancy is a key component of the anchor system (eg the US favoured “ERNEST” and “SERENE” acronyms). If a bowline is used for tying in, the stopper knot is an essential component of the attachment. For a figure of 8 it is an optional extra. We need to bear in mind that guidance about tying in has to work for novices as well as for people who have enough experience to make subtle judgements. The stopper knot should be butted up tight against the main knot. This stops the tail creeping out of the knot during extended use. Different diameter ropes have different recommendations for the length of the tail. At least if you can tie a double stopper the tail is DEFINITELY long enough. A serious disadvantage is that inexperienced/tired people might clip in between the knot and the stopper if the stopper isn’t butted tight against the main knot (BUT it should be). We can see from this list that the pros and cons are fairly equally balanced. I would be wary of telling people NOT to use a stopper. By all means recommend that they don’t need one, but you are making a rod for your own back if they make a catastrophic mistake that a stopper knot could have prevented from escalating into an accident. Thanks to Jeremy Ray for helping capture the images and video used in this post. I recently conducted an informal survey on a climbing focused Facebook page to determine if what gear I perceive out on our frozen cliffs is an accurate representation of what people are actually carrying. I wasn’t too surprised to see the overwhelming majority was using alpine draws (two carabiners and a thin style Dyneema sling clipped in a fashion that allows it to be used short or extended to full length). In this short opinion post, I aim to convince the majority to re-think their winter “draw” set-up and hopefully gain a bit of efficiency in the process. Rope drag is not as much of an issue when ice climbing for two reasons. First, rope running over ice/snow creates almost no friction unlike rock. Second, it is easy to arrange protection on a pure ice climb so that it runs almost straight from belay to belay. On most ice routes you almost never need to extend an alpine draw to mitigate friction. The average quick draw offers almost a foot of extension, giving you a 2 foot wide “corridor” of protection with zero increase in friction. Clipping the rope to the draw after clipping the screw is a place where I often see new ice leaders struggle. An alpine draw flops around and does not stay put making clips with gloves on more difficult. Clipping while ice climbing is much more similar to sport climbing where you want a quick fluid clip vs. moderate trad climbing where you could probably just use both hands if you needed to. Having a rigid rope-end carabiner on your ice quick-draws is ideal, and I prefer the larger gate ones like the Petzl Ange L on all my “ice draws”. Efficiency is also gained when the second cleans the screw, as like sport draws rack quicker and easier than alpine draws, especially if they have been “extended” due to perceived friction. Screw hanger end carabiner- Petzl Ange S Carabiner– the smaller Ange here is about the lightest most compact choice you can make for the screw hanger side of the quick-draw. Since it is the hanger side it does not need a large gate opening and the MonoFil Keylock wiregate system adds security and clears ice easily. “Dogbone”- Petzl 17 cm Finesse Sewn Sling– Super lightweight but the real advantage of this over other nylon sport quick-draws is the Dyneema won’t absorb water like nylon so you will experience less “frozen draws” when using these. Rope end carabiner- Petzl Ange L Carabiner– The larger carabiner on the rope end facilitates both clipping with gloves on and those who climb on double ropes occasionally. The above set up isn’t the cheapest quick-draw solution out there but I think it is the nicest. At retail this set up runs about $30.85 per quick-draw. You can definitely save some money but getting the pre-built Petzl Ange Finesse Quickdraws. These pre-built draws will save you about $5 per quick-draw, you just give up the larger rope end carabiner. If you climb with two ropes often it may be worth going for the larger rope end carabiners. I also carry one cordelette and two “Mini-Quads” that can be used for slinging trees, building anchors, etc. I hope this short post gets you thinking about your “ice kit” a little. You really don’t need all those extendable alpine draws in a pure ice climbing setting. And you’ll definitely save some energy clipping ropes with a stiff sport-style quick-draw! I’m honored to have made this list of the “Top 30 Ice Climbing Blogs“!!! Pretty blown away to be listed alongside bloggers/climbers like Will Gadd and Ong Strong! Affiliate links help support this blog at no cost to you!